Short Scenic drive from Pokhara to Nayapul. 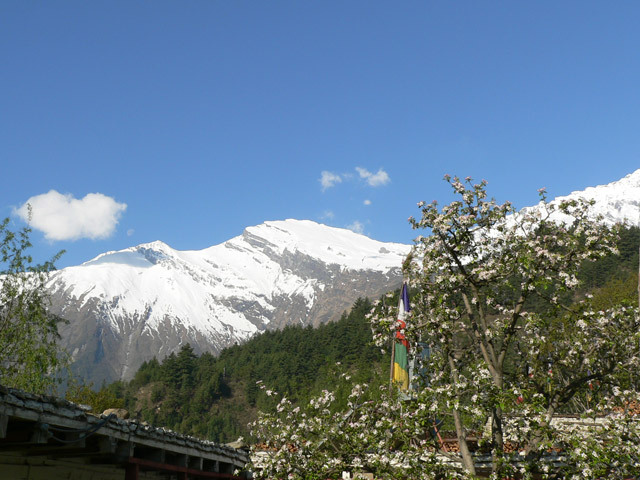 Panoramic views of Annapurna Range. Visit low land village to Glacier of Mountains. 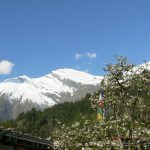 Visit two Base Camp : Machhapuchhre Base Camp and Annapurna Base Camp. Annapurna hike introduces you to one of the most classic and popular trek routes of Nepal. In basic terms, this is a trek best suited for travel lovers who have a niche for adventure. On this trip, you get to travel through lovely villages filled with friendly local people. Get close to mother nature and learn about local traditions in much detail. All in all, this trip is a bundle of joy that just keeps on getting better. Our annapurna trek starts with a drive to the scenic lake city of Pokhara. Here, you can enjoy the tranquility of Fewa Lake while relishing the glimpses of Mt. Machapuchare. Next, we drive towards Lumle and then take our first steps in the direction of Tikhedhunga village. We spend our upcoming days on an up and down trail and pass through many beautiful villages en route. Later after arriving at Ghorepani village, we plan on hiking up to the top of Poonhill. Poonhill sits as a great vantage point for travelers who wish to see some amazing sunrise views over the mountains. For this reason, Poonhill is often considered to be the best place to watch the Himalayas. Continuing on, we now push ourselves towards our final destination of ABC. We leave Ghorepani and then move eastward to Chomrong village. Our way now leads us through the Modi Khola Valley which ultimately ends at Annapurna Base Camp (4,130m). Once you have reached the base camp, you can view the impressive peaks of Annapurna I (8091 m), Annapurna South (7219 m), Machapuchare (6,993 m) and Hiunchuli (6,441 m). Besides that, our trek lets you visit Thakali villages where you can have a taste of their famous ‘Dal Bhat’. 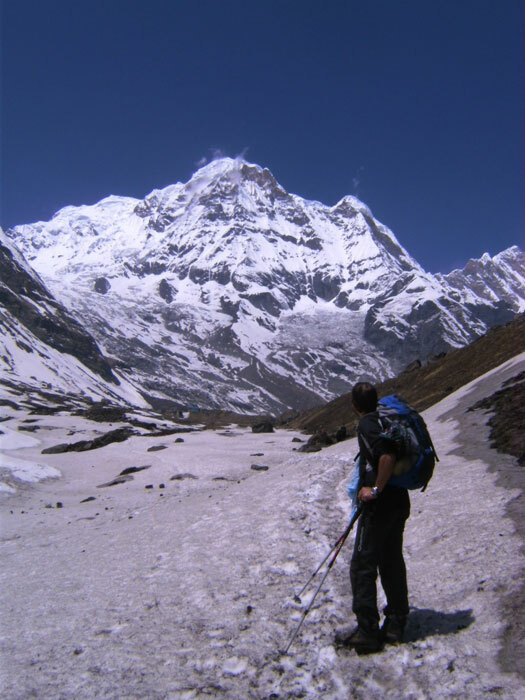 Contact Euro-Asia Treks right now and go for Annapurna trek with us! Leaving Tikhedhunga village, today we are going to head towards another picturesque and well-known village called Ghorepani. Hence as soon as you finish eating your breakfast, your trek guide will have you carry your bags once again for a thrilling hike to Ulleri. And doing so will require you to walk on 3200 stone steps. This can be a bit hard for you at first. However, once you catch the rhythm, you will eventually find it alright to walk. One of the very important thing to do while hiking on these kinds of trail is that you must always make sure to take in the sights around you. The spectacular hills, blue sky, clouds and people around you will be a worthwhile sight to remember. Later we will begin to notice the environment changing around us from parsley scattered trees and farmlands to a more rainforest like region. And then we will end our day by reaching Ghorepani. Our Annapurna Base Camp Trek trail now leads us toward Tadapani village. In the beginning, the trails are generally decent which won’t be too much demanding. Our trail directs us towards northern side dropping steeply through beautiful forests. 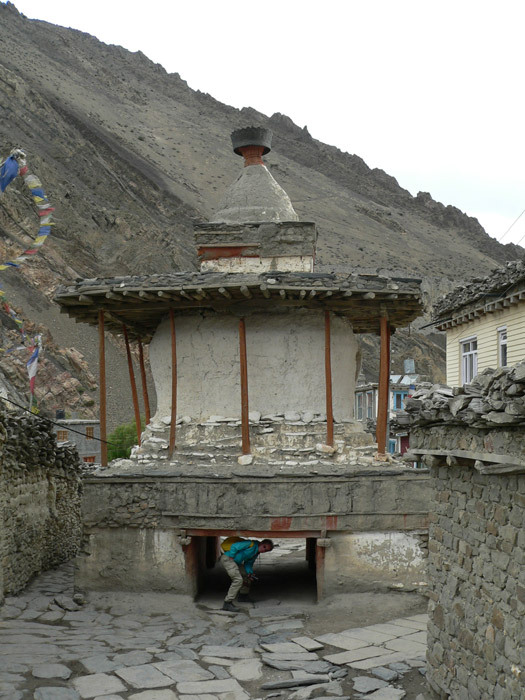 Following the walls, we arrive at Chisapani, heading further downwards, lead us to Chiukle. It would be a great trekking experience while walking through terraced fields, crossing huge suspension bridge over Kimrong River. 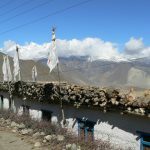 Passing through local schools, striking waterfalls, we arrive at main Ghandrung – Chomrong route, trekking through terraced fields and snowcapped mountains along our way. Today would be quite easy trekking day as there will be more downhill trekking. First, we descend Chomrong village to crossover Chomrong River. Then we arrive at naturally blessed small village of Sinuwa, which is surrounded by greenery forests from both sides of the trail. If you are here during spring months of March and April then you just can’t get your eyes off its natural beauty. Soon after immersing ourselves in wilderness feelings, we enter the bamboo forests, climb gently towards Dovan crossing few small river streams. Between final stretch of our day, from Dovan to Himalaya Hotel, we visit sacred home of deity, Panch baraha, stop for few inside stories and pass Modi Khola to reach Himalaya Hotel. Stay overnight at Himalayan Hotel. Leaving behind Himalaya Hotel, today we will visit the Hinku cave which is believed to be formed due to huge rocks and very quiet and serene place. Further continuing our adventurous yet delightful Annapurna Base Camp journey for half an hour, we arrive at Deurali. This area is avalanche prone area with only short shrubs, large boulders without trees. 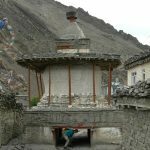 Extra precautions are taken while passing this area and after Deurali, the trail crosses numerous river streams to enter sanctuary, walk over wooden bridges and finally stay overnight at one of the few lodges over there. 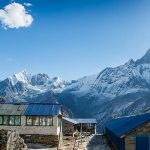 Stay overnight at Machapuchare Base Camp. We mark the most important day of the trek today as we will be stepping at Annapurna Base Camp. The base camp is inside Annapurna Conservation Area Project (ACAP), initiated by Nepal government to protect local flora and faunas. 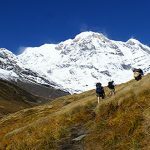 Trekking trail towards Annapurna Base Camp is not that steep, we will be progressing through gentle uphill walk, peaceful meadows with enthralling views of towering Himalayan peaks. 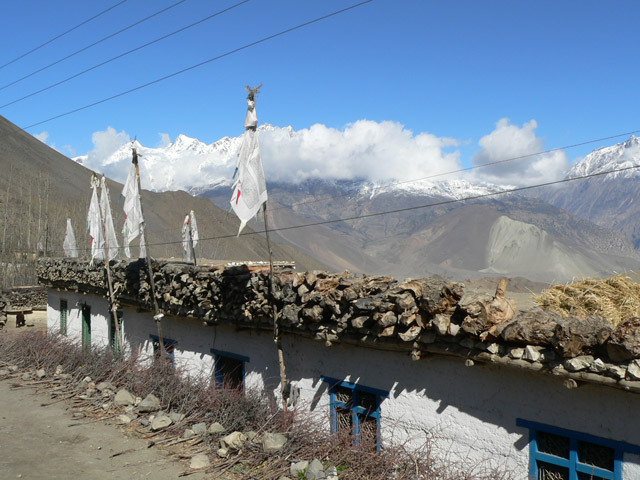 We get the 360-degree panoramic views of Annapurna Himalayan range from base camp. The best view that you can’t get anywhere else. The utmost feeling of accomplishment strikes us as we immerse in the most beautiful and rewarding views of Annapurna, Machapuchare and Gangapurna. In short time, you would surely miss these moments as we follow the same route to Himalaya Hotel. Stay overnight at Himalaya Hotel. On this day, we will be following the same route as before from Himalaya Hotel to Chomrong with plenty of downhill and pleasant walks. We will interact with locals and get their cultural insights wherever possible. During the final days of our Annapurna Base Camp Trek we follow the trails of Upper Chomrong to Summit view at Daulu. After trekking downhill approximately for 45 minutes we arrive at Jhinu danda where we encounter few tea houses. Carrying on our descents, we cross the bridge of Khumrong Khola and arrive at New bridge (Nayapul) after an hour. We come across the large suspension bridge over Modi Khola, walk across beautiful meadows, terraced rice fields and take some stone steps before arriving at Landrung. Between Landrung and the pass, Bichowk Deurali, the trail winds around two sides of valley and climbs 550 m, finally reaching Tolka. The route from Tolka continues in a fair grade, to finally encounter a steep climb through the trees to Bichowk Deurali, after passing the remains of the old suspension bridge at Bheri Kharka. From Bichowk Deurali, enchanting views of Dhaulagiri and Rhododendron forests are offered. Finally, we gently descend to Pothana. This is the final day of our Annapurna Base Camp Trek. We have our breakfast and start trekking for around two hours through scenic landscapes, hills and mountainous views, we arrive at Dhampus and further short drive takes us back to scenic lake city of Pokhara. After breakfast transfer to the International Airport to fly to onward destination. 10 Days trek as per program with English Speaking Sherpa Guide and porter.